Twilight Language: Mars Red: A New Red Dawn? 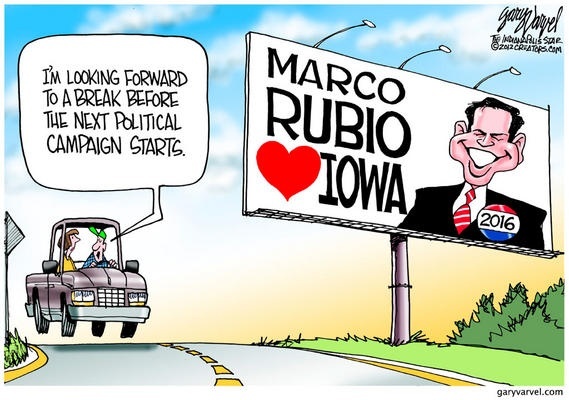 Mars Red, psychologically, won Iowa. 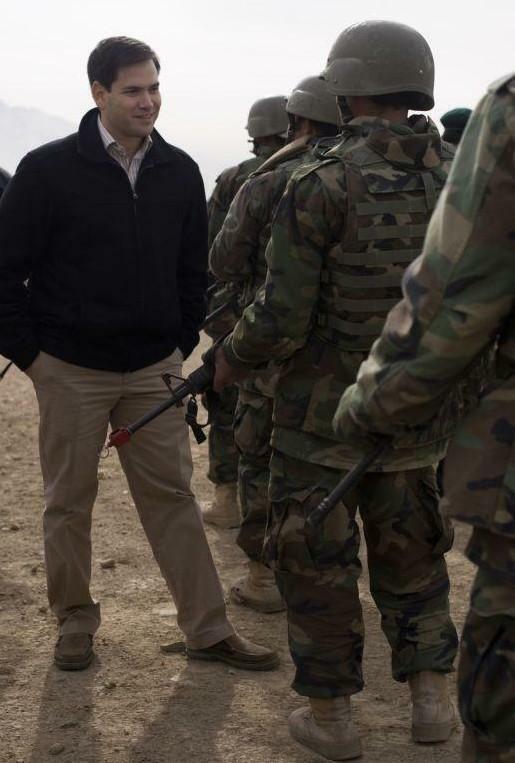 That name would be heard as Marco Rubio on the morning news channels, but in terms of twilight language, it is a new Red Dawn to watch. 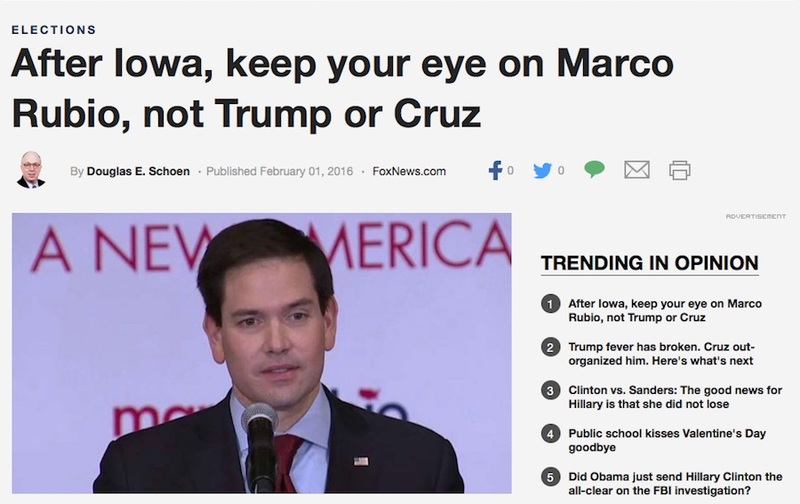 As more than one mainstream media commentator said on Tuesday AM, Rubio has a "target on his back." 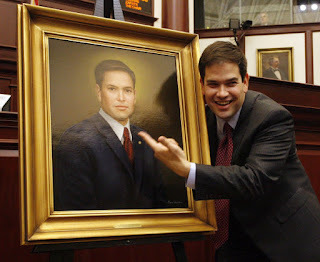 Marcus "Marco" Antonio Rubio, a Cuban-American, was born May 28, 1971, in Miami, Florida. (On May 28, 2002, the Mars Odyssey finds signs of large ice deposits on the planet Mars.) Rubio is the junior United States Senator from the state of Florida, serving since January 2011, and is a candidate for President of the United States in the 2016 election. He previously served as Speaker of the Florida House of Representatives. Marcus is a masculine given name of Ancient Roman pre-Christian origin derived either from Etruscan Marce of unknown meaning (possibly from the Etruscan "mar" which means "to harvest"), or referring to the god Mars. The name Marco is a baby boy name. The name Marco comes from the Italian origin. Italian form of Marcus: Mars (Roman god of war). Famous Bearer: Marco Polo (1254-1324), explorer from Venice. 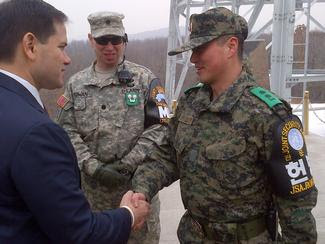 In Italian, the meaning of the name Marco means, "Warlike, Warring, Mars, Roman God of War." The name Antonio is a Latin name, meaning, "Worthy of praise; of value." Saint Anthony is the patron sain of poor people. The Rubio name is Spanish, a nickname from rubio "red" (Latin rubeus), probably denoting someone with red hair or a red beard. 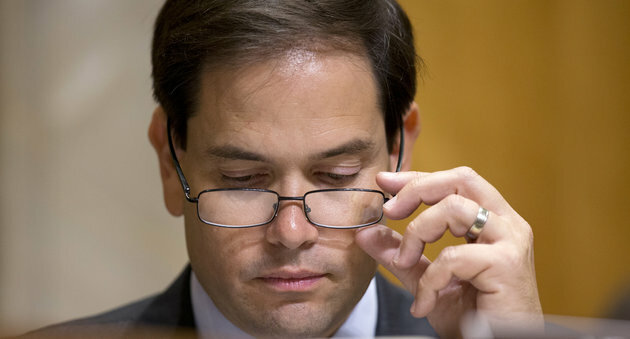 Marco Rubio, quite literally, means "Mars Red." I'm busy. I don't read everything I should throughout the sync field, so I am happy to hear from folks catching me up. first "moment of truth" will come in 2016 when Mars One/SpaceX launches their first supply (unmanned) mission to Mars. (Notice how this might coincide with Marco Rubio/"Mars Red" becoming president [or vice president] of the United States.) 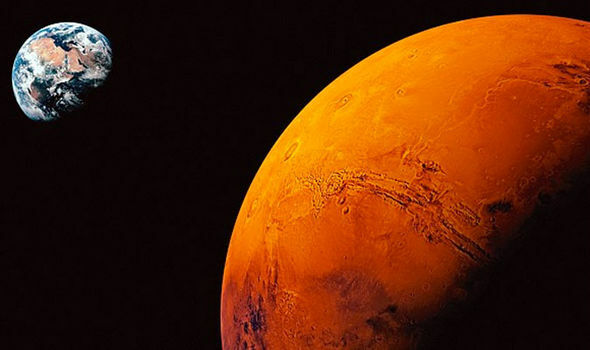 If successful, we are going to see the beginning of a real "Mars fever" on this planet - an excitement that will eventually match and surpass that of the Moon race half a century ago. Think about it. Going to Mars is exciting enough, streaming it all live is exciting enough, but this will all culminate in a one-way trip to Mars for the "lucky" four astronauts. Can you imagine the the intensity of all the drama that will surely surround the insanely historic launch? It will be surreal. And that's only about a decade away (2023). That's like from 9/11 to now. That's not a very long time to wait. I'm sure some of you have been following my work longer than that! 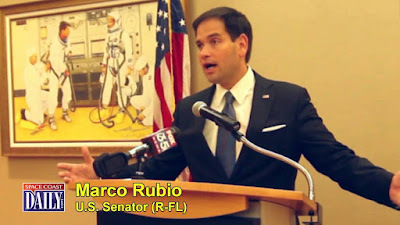 The rapid, post-election rise of Marco Rubio as the new ("Martian") star of the GOP and a leading Republican contender for the 2016 presidential election (a status boosted by his Hispanic ethnicity), confirming our long-running projection - starting all the way back in 2010 - that Rubio/"Red" will be in the White House from 2016 when mankind will be reaching for Mars in a big way. Furthermore, Matthew Bell emailed me, also, that Trump's supporters were analyzed in October 2015, as "Middle American Radicals" - MARS. 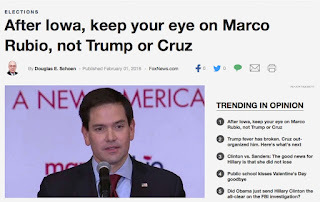 Having just returned from covering the Iowa Caucuses - and what a whirlwind it was - Marco Rubio was all the talk, despite the hot air from Trump. 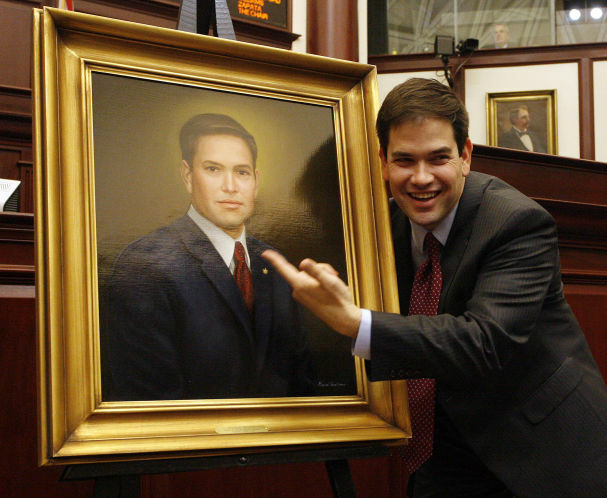 My key story from my caucus night coverage regarded Marco Rubio. 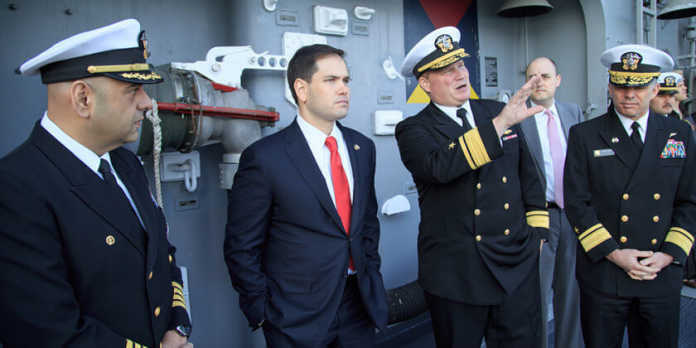 That said, afterward I was thinking about Rubio's name and what it translated as ... and yes, I knew red, but had not thought about "Marco," as Mars (as I type this, a Boeing commercial is playing in the background and said the word "Mars" as I typed Marco Rubio's name ...eerie). When I saw Rubio (whose name was said on the TV as I typed "Rubio" just now) in OKC in the early fall, I tried to get my "space question" answered. No luck. I always ask presidential candidates about America's role in space exploration. Now New Englnd is being hit with a winter storm the World Meteorological organization has named, Mars! Curiouser and curiouser . . .